While watching the Indianapolis Colts successfully shut down Peyton Manning and the Broncos dynamic receivers yesterday I had this awful since of Deja Vu all over again. It wasn’t until this morning that, thanks to radio hosts Walton and Johnson of all people, I made the connection. 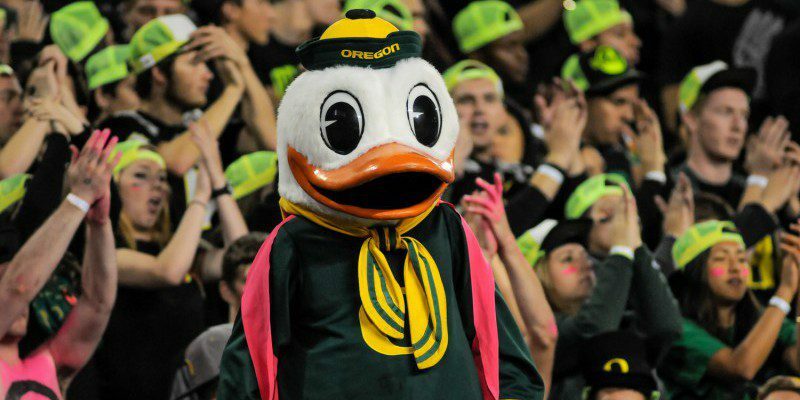 The way Indianapolis shut down the Broncos was the same way that Oregon shut down FSU. They played tight coverage across the board, choking the life out of any attempted pass by Manning. This same type of coverage can make the difference against Ohio State tonight. Despite recent gushing about Cardale Jones arm strength, the fact is Ohio State runs a lot of short passes to stretch the defense and set up the run, much like Oregon. While it is entirely possible that Ohio State will try to throw deep in this game, Oregon’s secondary won’t make that easy. In fact, the kind of coverage Oregon runs should be open to short passes. The speed of Oregon along with the ability to play press coverage makes short passes nearly impossible. The one area that could be open is down the middle of the field, so Oregon will need to watch out for slot and tight end posts. Oregon’s secondary should be athletic enough to play tight press coverage across the board and make any windows that are open very small. The biggest test of Oregon’s defense is going to be against Jones and Ezekiel Elliot running the football. 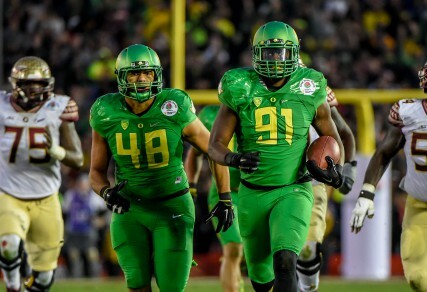 If Oregon wants to win this game their defensive line is going to have to control the line of scrimmage even better than they did against FSU. If Oregon’s defense can control Ohio State’s run game, they will be in great shape to win tonight because of one simple fact; Jones will not win a duel with Marcus Mariota. 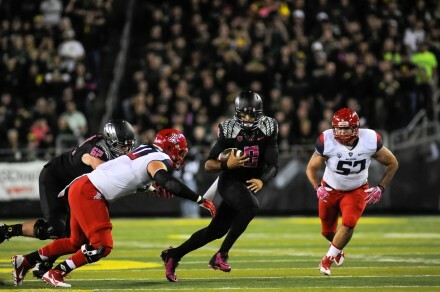 For all the talk of schemes and goals on defense, Oregon’s biggest defensive asset is Mariota. Oregon’s defense has the luxury of knowing that the vast majority of stops they make will be at least a six point swing. The Rose Bowl was a perfect example of what can happen when Oregon’s defense plays up their potential, but all they need to do is give Marcus Mariota a few extra opportunities in order to win their first Championship. So as you see, defense does win championships….kind of.